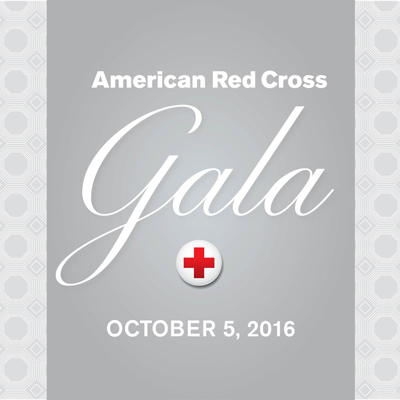 On Wednesday, October 5, 2016, American Red Cross in Greater New York will host its 2016 American Red Cross Gala: Heroes Among Us at the American Museum of Natural History. Each fall, the gala honors men and women who have saved lives and inspire us all—they truly embody the spirit and mission of the Red Cross through their selfless actions and compassion. These heroes, along with civic leaders and philanthropists who make our mission possible, come together in New York City for a compelling cause. This year’s Corporate Leadership Award recipient is JPMorgan Chase & Co. who will be recognized for its longstanding support of the Red Cross mission. We will honor Tribeca Film Festival founders, Jane Rosenthal, Robert De Niro, and Craig Hatkoff, with the Humanitarian Award for their efforts to revitalize Lower Manhattan following the 9/11 tragedy. We will present the Vanguard Award to Tina Charles, founder of Hopey’s Heart Foundation and WNBA New York Liberty player who is committed to advancing sports safety and raising awareness of sudden cardiac arrest by providing free Automated External Defibrillators (AEDs) and CPR training to schools and community centers. We will also honor Local Hero Lt. Craig Roeder, a trained New York City Fire Department (FDNY) Emergency Medical Services paramedic who had never been in a burning structure, but that did not stop him from responding to a fire he spotted in Queens and rushing into a burning two-story home to save a woman and child. And we will recognize National Heroes, Neema Bahrami, Brian Reagan, and Neal Whittleton, three Pulse Nightclub employees who demonstrated extraordinary courage and selflessness in the middle of the unimaginable fear and chaos.